Welcome back to Lamb's Christmas Holiday. Week one of December 2014 sure was a busy week! I put final touches on the Christmas decorations plus I was able to get all the Black Friday gifts wrapped. I like to shop & wrap - shop & wrap. Getting the gifts wrapped and under the tree I think really reduces stress. Even thought I worked four days this week I was also able to get in lots of family holiday fun! Tuesday I picked up Dawn at 8 am and we headed to Pottawatomie Casino for morning BINGO! Yep we do love BINGO! One of these days we have to WIN or maybe not! LOL Back home by 1 pm ~ Gene and I did some Christmas shopping for the grand kids. He always shops with me for the kids - it is his favorite shopping! Amazing how fast time flies when you are having fun buying for the ones you love. It is important to Dawn to make sure that both Isa and Davey celebrate there birthdays separate from each other and from Christmas. 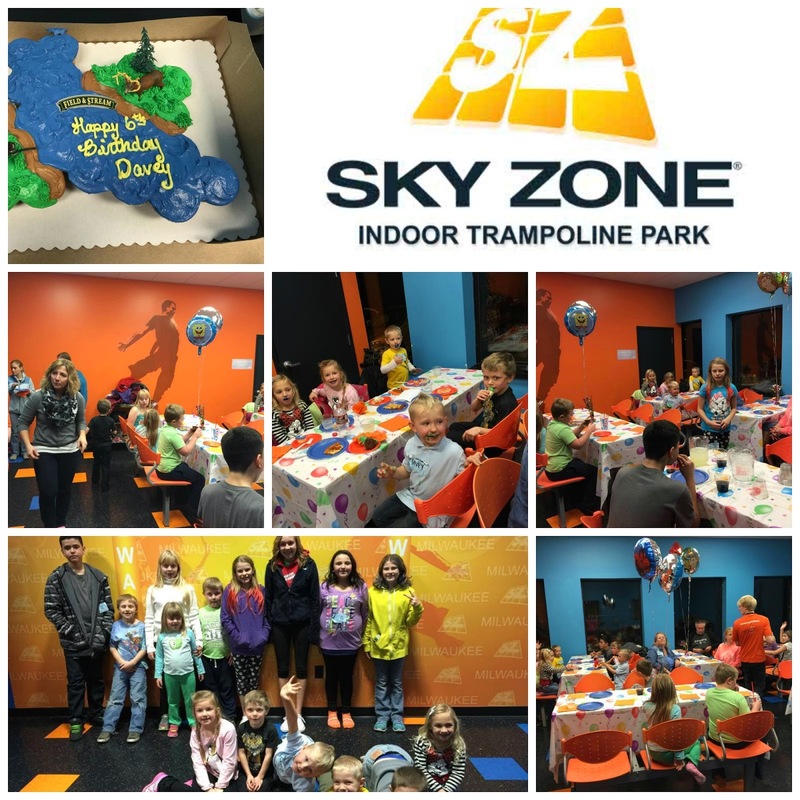 It was fun celebrating Davey's 6th birthday party at Sky Zone on Thursday night. We had a great time. 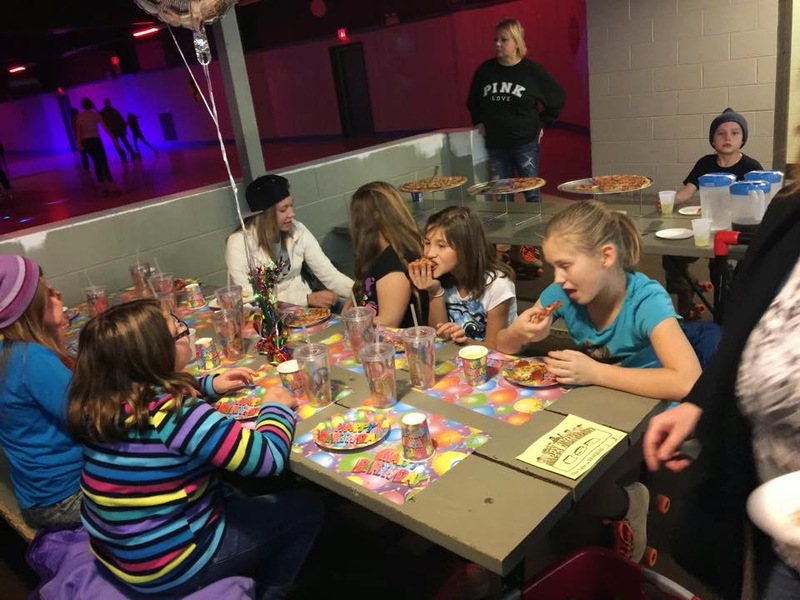 Having a birthday party on a Thursday night was perfect - pizza for everyone that attended made it a perfect family night. Friday during the day Dawn and I headed out shopping for her Dad. While shopping for the kids I found something I know he will like. Friday during the day was a perfect time to shop for him. 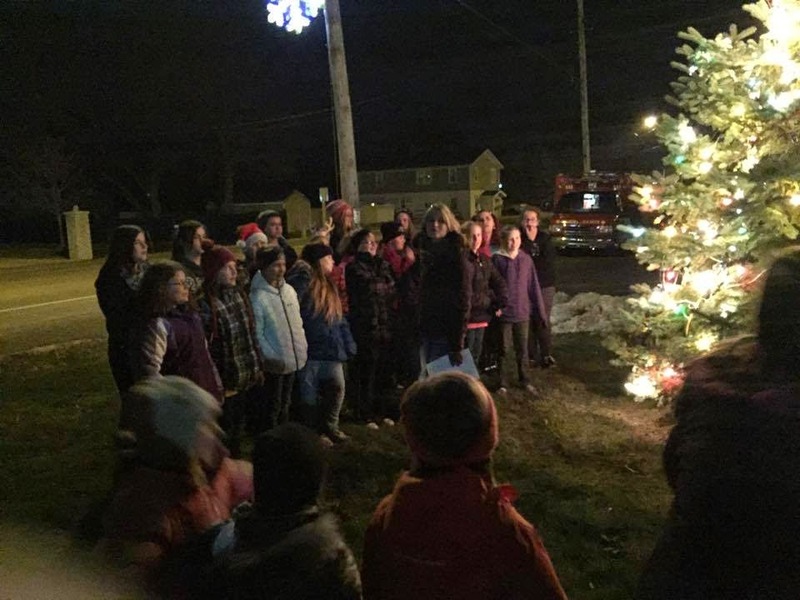 Friday night was the Kansasville Tree Lighting ceremony. Before we went to theTree Lighting Gene and I stopped by the Kansasville Fire Department to drop off the Pumpkin Pie I made for the Pie Auction they have at their Spaghetti Dinner Event on Saturday. We also donated a large basket full of goodies to be raffled off. All proceeds got to the fire department. Now back to the Tree Lighting! The kids sing in the choir...a perfect way to start the holiday celebrations. The Kansasville PTO made cookies and along with the Community Committee arrange everything. This year the weather was perfect for the Tree Lighting - 36 degrees with clear skies. Caleb is in the back row in the middle and Isa is right in front of him with the antlers on her head. Saturday was the Kansasville PTO Christmas Movie at 9am. The PTO rents the theater for a Christmas movie with donuts - juice - milk and of course coffee for Mom's and Dad's. This years movie was the Polar Express. I really liked the movie - a fun holiday movie. It is one of Davey's favorite. fun time. You buy a cookie can for $5 - then walk to twenty one businesses downtown Union Grove to collect a cookie. 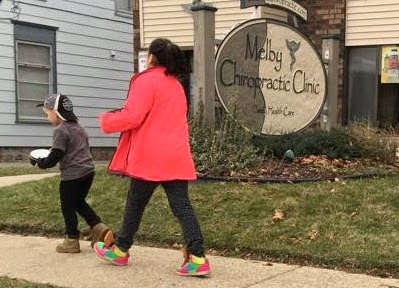 Check out Isa and Davey strolling to a new business. The kids enjoyed getting a cookie at each business. While Cookie Walking we stopped a local Bakery and had lunch. They make the best homemade Pita Bread Sandwiches. Again the weather was perfect for walking the streets - 40 degrees! Warm weather for Wisconsin in December. Sunday it was Isa's 11th birthday party at the Roller Skating Rink. Everyone had a fun afternoon celebrating Isa's Birthday. The first week of December was super busy ~ but it was super fun!!!! Lots of PRICELESS moments that will live on forever in my thoughts. It is amazing how fast a week goes by when you are super busy! Gosh this is a fun December! What a fun week celebrating lots of birthdays! Sky zone sounds like a place my kids would love!